If you’ve checked the calendar lately, then you’ll see that summer is officially here. You probably have invitations to barbeques, graduations, and other summer parties filling your social calendar. If you’re planning your own soiree, you want your home to be in tip-top condition. Here at CBD Glass, we can help. At our glass studio, we specialize in a variety of glass items for indoor and outdoor entertainment. Here are some of our best picks for you to have your most awesome summer yet. 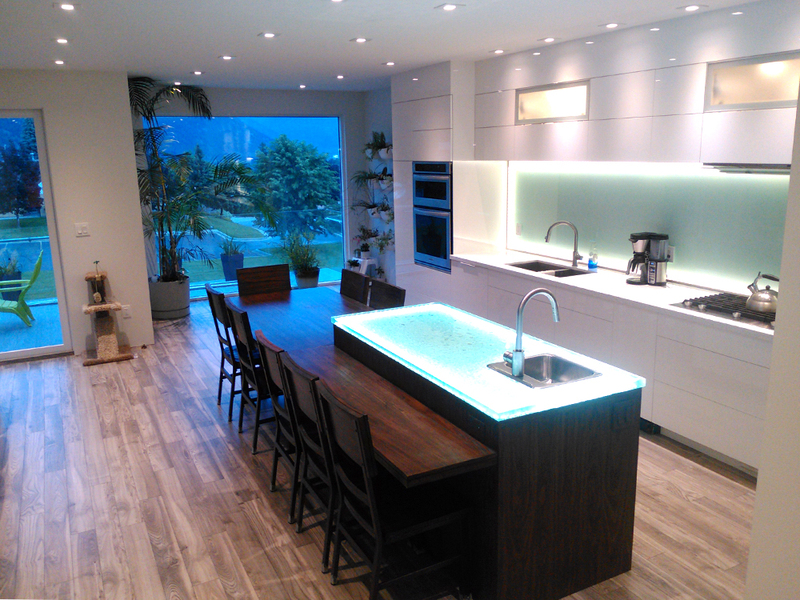 Our glass countertops are one of our biggest sellers for a reason. There’s something so timeless and beautiful about these stunning glass surfaces, but it’s about more than just looks. Our countertops inspire lots of cooking adventures, partly because they clean up so easily. With a little bit of soap and water, all hints that you were cooking are gone instantly. There’s no crumbs, sticky stains, and germy messes lingering around on our glass countertops. By extension, our kitchen islands are quite a popular choice. Whether for indoor or outdoor cooking, you’ll never have to worry about having adequate food prep space again. If you often cook in tandem with a spouse, friend, or family member, you and they will have all the room to make great meals without bumping into each other. Again, the ease in which glass surfaces clean up make our kitchen islands a must-have for those home chefs out there. 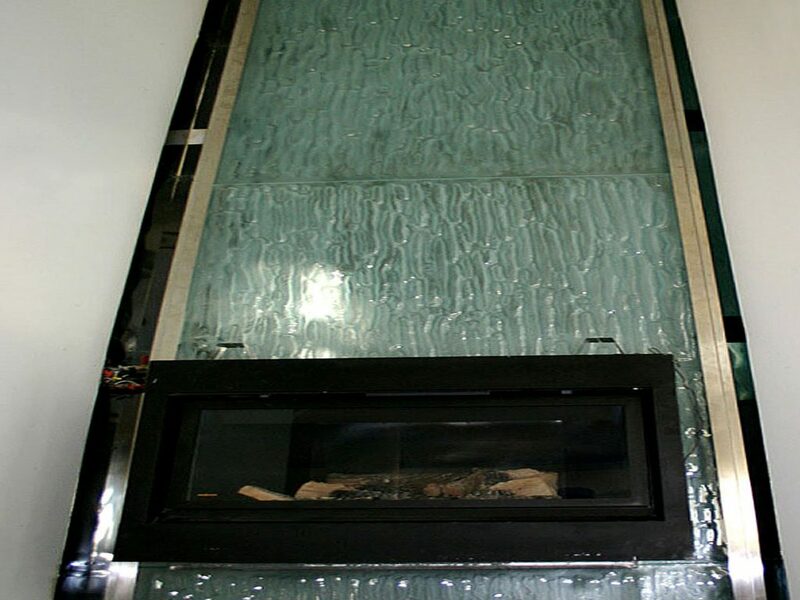 For both commercial and residential use, our glass waterfalls are one way to make a huge impact! Our CBD staff has installed these waterfalls indoors and outdoors, and either way, they leave people’s jaws dropping. We can add glass layers or shelving so the water stays contained and never splashes. If you want logos or other decorative touches etched into the glass, just ask us! For keeping certain spaces off-limits during parties, our glass dividers are a great solution. You might think that because they’re glass, that automatically means they’re see-through. Not necessarily. While we do offer translucent glass at CBD, you can also get your divider glass textured so it’s opaque. The choice is completely up to you. Do remember that no matter which of our stunning glass items you choose for your summer entertaining that we can customize almost any of them. 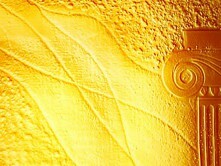 As we mentioned with our glass dividers, we can create layers of wondrous texture that feel and look amazing. Our CBD staff can also backpaint the glass, which means adding lovely color to the back of the glass surface that’s reflective through to the front. 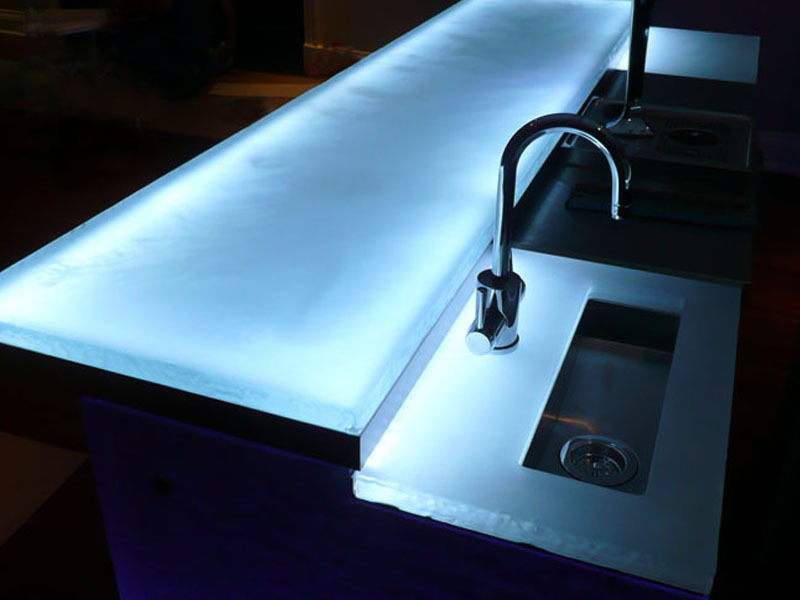 We even have LED lighting for our countertops, kitchen islands, and more. This summer, have the kind of parties you’ve always dreamed of throwing with handy glass items from CBD Glass. If you have an idea for customizing or designing a glass product, we want to hear it. You can give us a call today at 1-855-872-4223.